By learning about the construction of a sofa, you can determine which level of quality and durability you will need depending on the space you are putting it in and therefore also have a ball park idea of what it will cost. I recommend the heavy duty workhorse sofas for the family room, but you can get away with a lower priced, mid range sofa for your master sitting room or formal living room, that will see less wear & tear. 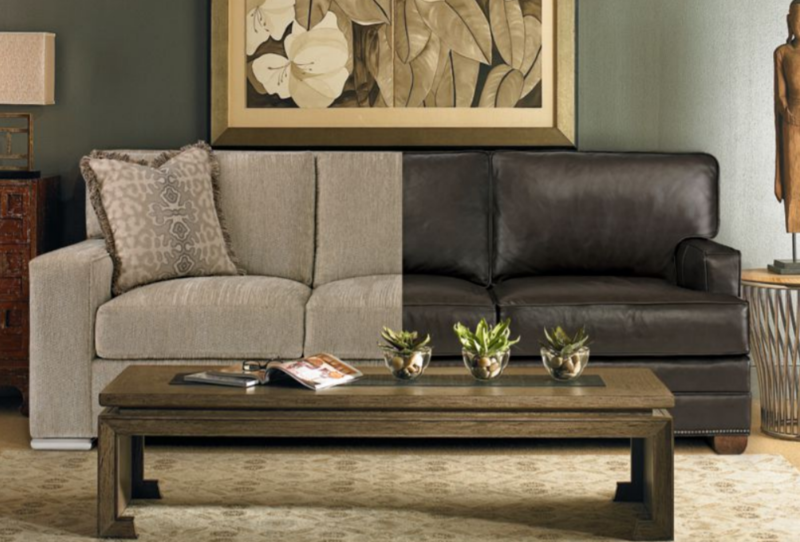 A quality sofa starts with a hardwood frame. Top quality will be made from 5/4” kiln-dried maple, one of the strongest of all hardwoods. In addition to that, the joints are double-doweled, glued, stapled and screwed together to give maximum support. 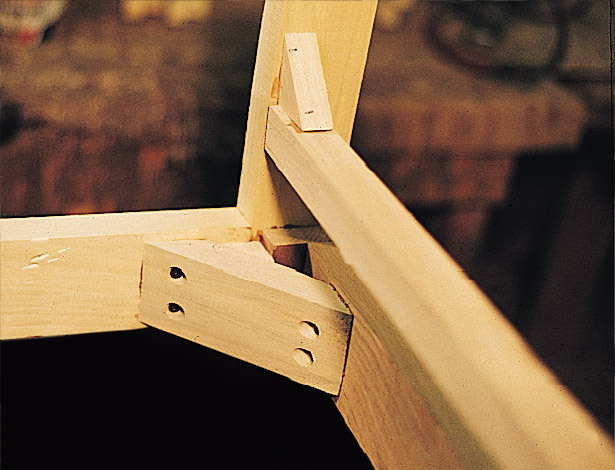 Joints and the back rails are reinforced with corner blocks and uprights. Especially important are the construction of the arms (for those that often perch on the arm as an extra seat). The arms will also be built out of the hardwood. 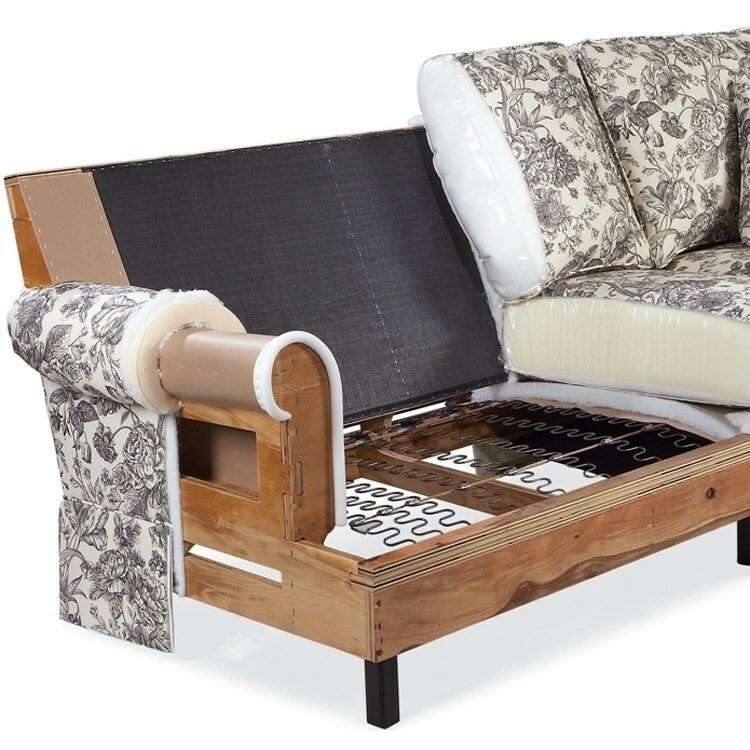 A lesser quality sofa will have the skeleton of the sofa framed out, but the corners won’t be blocked, and the arm will be shaped from a material similar to a thick cardboard. It will give it shape, but no spine. A pinewood frame is a soft wood and will start to loosen up over time and begin to crack, creak and break down. When shopping, if you pick a sofa up at the corner and it wobbles, the frame is not corner blocked. In addition to the frame are the legs. A great quality sofa will have legs engineered into the frame, rather than screwed in, for maximum strength and durability. While this might prove difficult when getting it into small spaces, it is a step up in quality most of the time. Would you like a professional to help you buy your sofa? Click here to set up a consultation. We will walk through the steps together & find you the perfect piece. 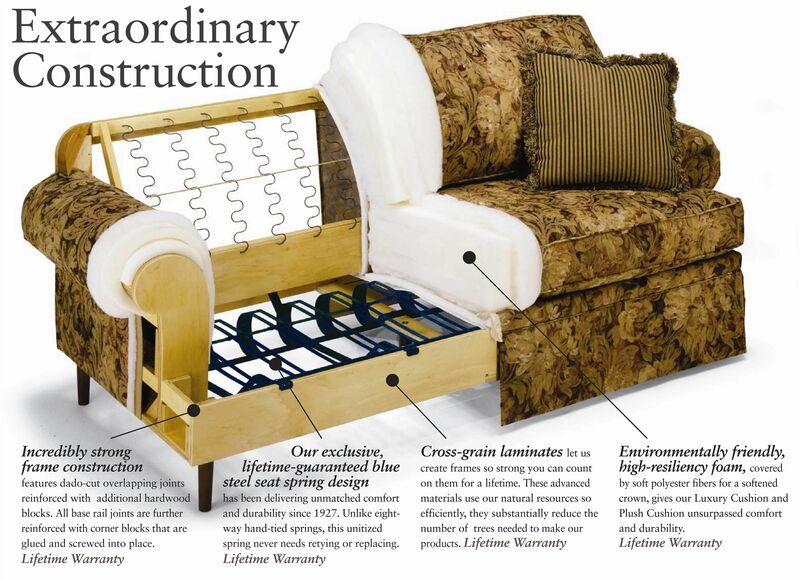 The next most important part of a sofa is the inner construction or the deck & coil of the sofa. This is the main support system the cushions rest upon. The benchmark is an 8-way hand tied inner spring coil construction. This means that individual coils are hand tied 8 ways to the coils that are next to them. This offers the most support and eliminates side to side shifting. 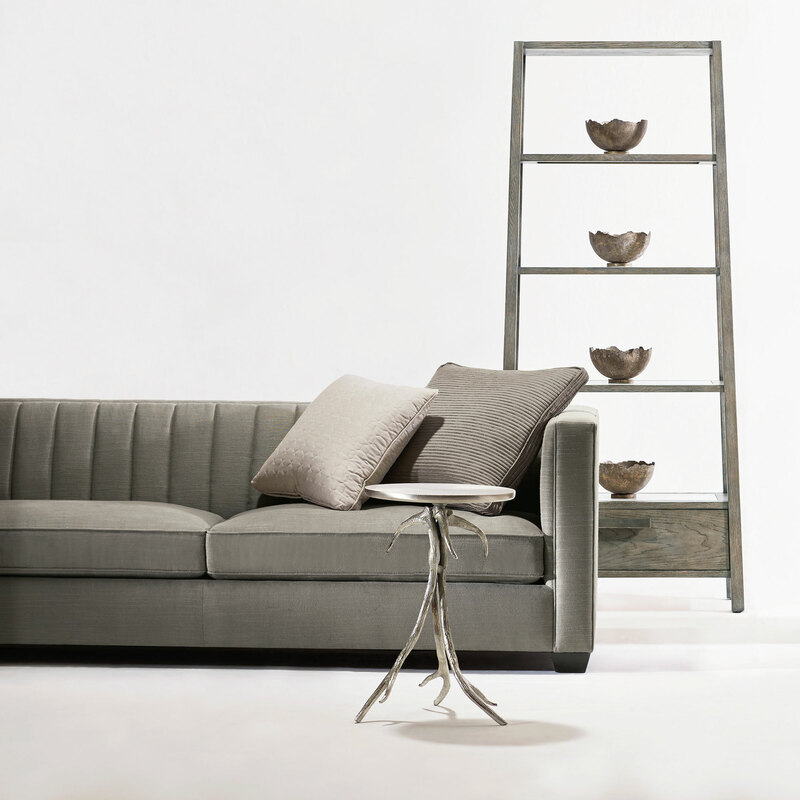 Top quality sofa’s take it an extra step by customizing the number and gauge of each spring coil and position by hand. This ensures there is more support in the back and on the sides, where people sit. The coils are supported by a solid webbed base reinforced by wide steel banding to keep the coils from sagging over time. A strong decking with a solid wood frame will keep the sofa/chair from sagging in the front over time as well. As an aside, we have a Wesley Hall sectional, and I have caught my kids taking the cushions off and jumping on the decking of the sofa as a trampoline! While I do not condone this behavior – my sofa did not sustain any damage, due to it’s impeccable construction. There is a lot to be said for a strong base. 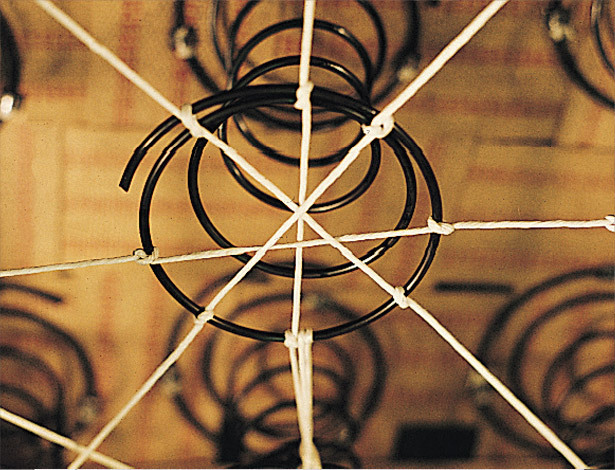 Other interior construction will use sinuous spring construction, or webbing made of polypropylene straps. 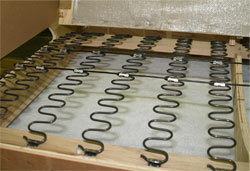 Now, if the sinuous springs run front to back in the sofa, and are tied together, they can offer good support. Low quality sofas will have springs that run horizontally, and spaced further apart, offering very little support and easily breaking down over a short time. Again, some mid-quality sofa’s use webbing for their decking, and the support and durability depend on the quality of the straps, as well as how tightly woven the straps are and how they are secured to the frame. A loose weave and simple staple will not ensure a long life. Anyone who has sat on a sofa or chair and fallen almost to the ground below will notice this construction. Examples of lower quality sofas. The first photo shows a frame without using wood to build the arm, legs are not part of the frame and has sinuous springs without a base. The second photo shows the sinuous springs running side to side and spaced quite a bit apart. The last photo is an example of polyurethane straps. This type of construction is not always low quality, it often depends on the quality of the straps & the frame them are attached to. When we ‘sit test’ a sofa, this is what we notice the most. 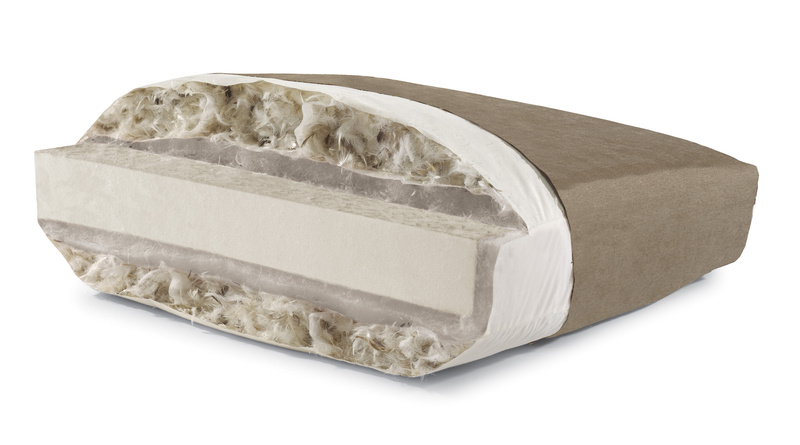 There are several different cushion cores and each manufacturer has their own custom cushions made to their unique specifications, but there are 3 basic kinds of cores. This has a foam core that is wrapped in feather down. The foam core gives the cushion shape and support, while the down feathers give it that soft seat that conform to your body. Depending on the style of the piece, some cushions will have more feather down than others, giving it body or that slouchy, comfy look. 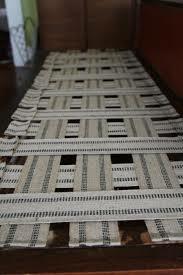 A higher quality sofa will have more down than feathers, and will have an extra layer of dacron wrap (fiber fill) with ticking to add to the soft seat and prevent the feathers from escaping. 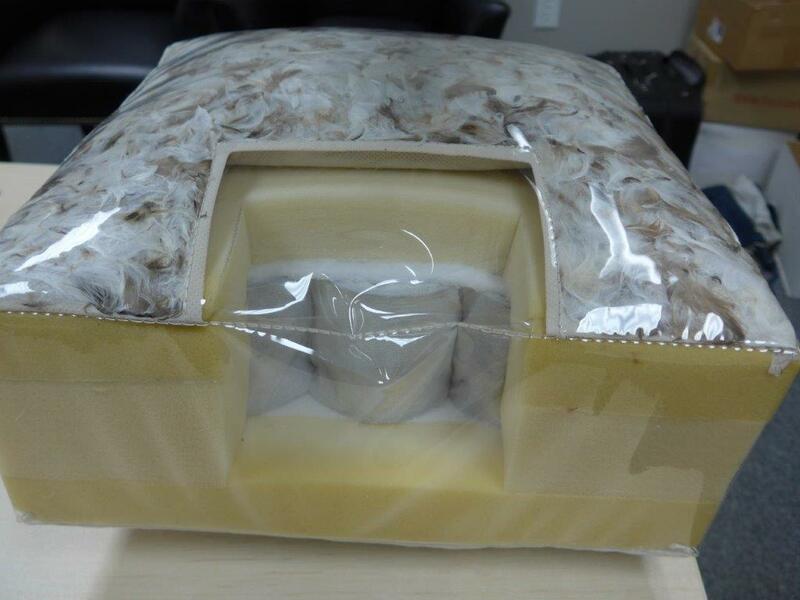 The foam core is also an essential quality point, a higher quality sofa will have a higher density foam core. 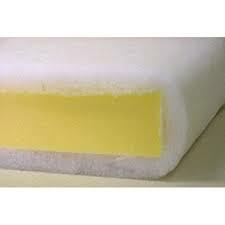 To clarify, picture a sponge, one that has a lot of air pockets will be nice & springy at first, but will break down more easily over time. A sponge that has very small and few air pockets will be a bit less springy, but keep it’s shape over time. This cushion type is most popular with my clients over the last 19 years I have been a designer. They offer “cushy” comfort as well as support. Keep in mind that the cushions will need to be fluffed often to keep their shape. This type of cushion is basically just what it sounds like, a simple foam core, wrapped in an ‘egg crate’ type foam, then wrapped in a dacron top and ticking to round out the form. This is the most firm of all cushions and is also great for styles that are more tailored. This cushion starts with a core that is made from springs, then wrapped in foam, down feather and ticking. This construction is often firmer than the blendown, but not as firm as the foam core. Although…. It really depends on the manufacturer. This style holds it shape a bit better than the blendown and offers nice support. This is also a very common and comfortable cushion core that is usually only found in the higher quality sofas. Now for what you can see…will it be fabric or leather? While what is on the inside counts, what most people choose a sofa for is what is on the outside. Whether it is fabric or leather – the cover is usually the biggest determining factor in price. Lower price point sofas do not offer many choices, if you have a choice at all. The fabrics are bought in bulk and are often pre-made and ready to ship. Lower priced leather sofas are made out of lower grain hides or even split hides (faux leather mixed with low grain). Higher quality sofa’s begin to give you choices, offer higher grade leathers, and better grade fabrics. My top lines offer over 1000 fabrics, with another 300 + leathers as well. Top-grain is the best quality part of the hide, so that is what will have the best durability and color quality. 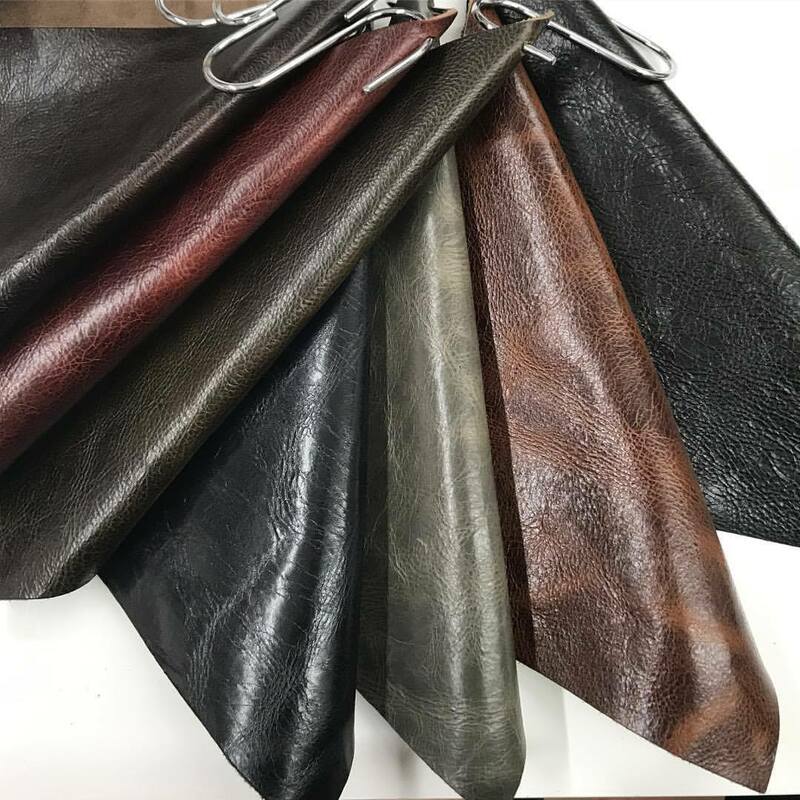 There are aniline and semi-aniline leathers to choose from. Briefly, aniline leathers are dyed exclusively with soluble dyes. This retains the texture and natural surface of the leather, resulting in only the best quality hides being used. These leathers will show many scratches and marks, and have many nuances that make them look very rich. Think of a comfortable leather jacket. Semi-aniline leathers are pigmented the entire way through. They do not show much of the original hides bruises and scratches and are therefore more uniform. They are a great choice for those who need high durability (kids, pets, those wearing jeans most of the time) and are also good for more contemporary styles that need the consistency in grain and color. The choices in fabric are nearly endless and depending on the manufacturer, they can run from chenille’s to linens and prints to solids. Over the last few years, the marketplace has been flooded with wonderful performance fabrics that are fabulous for families with kids and or pets or just want something easy to care for and clean. A nice change of pace from the Ultrasuede that showed every movement, these fabrics come in linen look-alikes, wovens, textures, herringbone and much, much more. Even more exciting, they don’t feel like the tarps of the old days. They have soft textures and very comfortable options. Some of them can even be marked with a sharpie and cleaned with bleach! Now, you can have that white sofa and drink red wine. What is probably most apparent in a higher quality sofa is not only the additional choices, but more importantly, the application. The tailoring of the fabric or leather to each piece of furniture is what sets a custom piece far apart from a factory-made piece. Fabrics are cut specifically for the frame they are being applied to. If there is a pattern, expert seamstresses match the pattern over the piece. 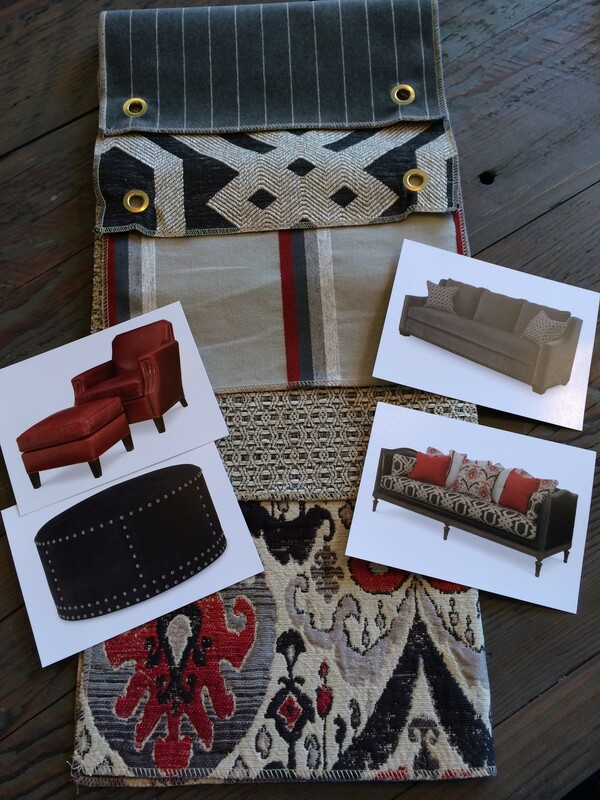 Pattern matching is an art, especially when the sofa or chair is button tufted or a curved piece. Experienced sewers execute flawless seams, welting and decorative treatments. Skilled craftsman pay close to attention when applying final touches such as nail head trim. Finishes are hand applied and often have many coats to give them depth and true color. Would you like to see more design ideas? Learn more about how to choose the perfect piece for your home? See some of my favorite new items? 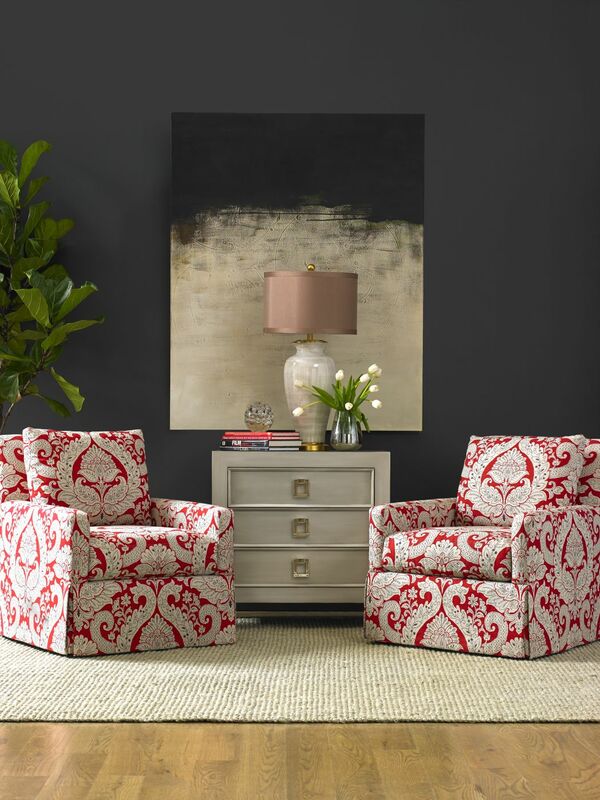 Learn tips & tricks about designing your favorite room? Join now, we would love to have you!